To date, the Indonesian government and institutions have largely remained entrenched in an endemic culture of corruption. Despite major victories before the court by the Corruption Eradication Commission (“KPK”) in recent years, crimes of corruption (especially bribery and gratification) remain a major problem at every level of government institution. A big part of Indonesia’s culture of corruption is that, even for those who want to do the right thing and report wrongdoings, the risk for a cooperative person (i.e. whistle-blower) can be significant. A whistle-blower can easily become a target, not just of criminal intimidation but also of criminal persecution, for example, defamation. In addition, obviously, reporting a crime of corruption means that the whistle-blower cannot benefit financially and could face retaliation from the alleged perpetrator. In light of the above, on 17 September 2018, the Government of the Republic of Indonesia, passed a new government regulation that provides a bigger incentive for whistleblowing through the prospect of a monetary reward. Government Regulation No. 43 of 2018 on The Procedures for Implementing Community Participation and Providing Rewards in the Prevention and Eradication of Acts of Corruption (“GR No. 43/2018”) was signed on 17 September 2018. Under GR No. 43/2018, the public or an individual can provide information to the authorities and/or law enforcement agencies (i.e. the KPK, National Police Force or Public Prosecutor). The information must be provided in a report (oral or written) according to the prevailing laws and regulations (through electronic and/or non-electronic media). The report must contain at least: (i) the reporter’s identity document (e.g. National ID Card) and (ii) the chronology of the alleged crime of corruption. As far as possible, it should be supported by relevant documents and/or evidence. The person filing the report will be interviewed by a law enforcement officer following the procedure provided in the relevant laws and regulations. The person(s) filing the report (the whistle-blower) will only be protected by the law enforcement agency if the information provided is found to be credible during the preliminary investigation, the full investigation and the court proceedings (as a witness, reporting witness or expert). To provide this protection, the law enforcement agency can coordinate with the Lembaga Perlindungan Saksi dan Korban (Witness and Victim Protection Agency – “LPSK”). A whistle-blower is entitled to a reward for his/her contribution effort to eradicate or uncover a crime of corruption in the form of (i) a charter/commendation (piagam) or (ii) a monetary award. The law enforcement agency will consider what reward to give to a whistle-blower depending on such factors as the whistle-blower’s role in exposing the crime of corruption, the quality of the data in the report or evidence and the risk he/she faces by sharing their information. The consideration and assessment of the type of reward that will be provided to a whistle-blower is to be given by the law enforcement agency within 30 working days of the prosecutor receiving an official copy of the final and binding ruling. Following the assessment, the decision on the reward(s) will then be drawn up in a decree issued by the chairman of the relevant law enforcement agency within 7 working days of the end of the 30-working day assessment period. GR No. 43/2018sets the monetary reward at 2‰ of the loss to the state that can be recovered for the State Treasury or the value of the bribery or auction items given to state officials. Specifically, for a whistle-blower reporting bribery, the maximum reward is IDR10 million (approximately USD670). Meanwhile, the highest monetary reward available is IDR200 million (approximately US$13,120) for a state loss that can be returned to the State Treasury. GR No. 43/201 is silent on the type of crime of corruption for which the highest monetary reward can be awarded. As explained, the decision on the type of reward to be given to the reporter/whistle-blower will be drawn up in a decree issued by the Chairman of the relevant law enforcement agency which will be issued within 7 days of the end of the 30-working day assessment period. The reward in the form of a charter/commendation (piagam) will be provided to the whistle-blower within 7 working days of the date of the issuance of the decree. A monetary reward will only be given to the whistleblower once the loss from state finances, bribe, or money from the proceeds of the auction of the confiscated items has been deposited in the State Treasury. No extraordinary legal remedy (such as a case review/peninjauan kembali) should cancel the reward given. The rewards (ie charter and monetary reward) are allocated in the State Revenue and Expenditure Budget (Anggaran Pendapatan dan Belanja Negara – APBN) under the budget of each law enforcement agency. Despite the above, GR No. 43/2018misses such pivotal issues as the legal protection which will be provided to whistle-blowers who come forward with information that is proven true and useful. As explained, whistle-blowers face a significant risk of, for instance, being the target of intimidation not only themselves, but also their family members, and legal persecution alleging, for example, defamation. These outweigh any form of reward (eg a monetary reward) whistle-blowers may be offered. According to GR No. 43/2018 whistle-blowers will be provided protection by the law enforcement agency, but it does not explain what kind of protection or the criteria for providing the protection. This regulation refers to Law No. 13 of 2006 (as lastly amended by Law No. 31 of 2014) on Witness and Victim Protection (“Witness Protection Law”), under which the LPSK will decide whether or not legal protection will be given to a witness/whistle-blower. However, it is not uncommon for obtaining the LPSK’s decision to involve a long and cumbersome procedure, which is sometimes discouraging for witnesses/whistle-blowers as they will not be protected from the dangers they face while the criminal justice system against the perpetrator grinds on. Neither does this regulation provide whistle-blowers any special protection for providing information about a crime of corruption. From the practical point of view, whistle-blowers have not been effective because little has been done to reduce the serious risks they face. The monetary reward offered under this regulation measured against the risks they face for providing information is unlikely to change this, unless anonymity can be assured—for example, making sure their names do not appear in the case dossier received by the defendant(s) when the prosecutor dispatches the case dossier to the court. For comparison, we understand that in the United States of America, the witness and victim protection programs are provided by US Marshals and the Department of Justice, in which the anonymity of reporters/whistle-blowers can always be assured if they are likely to face a serious threat for providing testimony (U.S Marshals Service, Witness Security Program http://www.usmarshals.gov/witsec/). Therefore, the identity of the reporter/whistle-blower will not be revealed at any stage. We therefore must wait and see if these rewards will encourage more whistle-blowers to come forward in Indonesia. In addition to the above, all companies potentially face the risk of improper conduct that violates the company’s Code of Ethics or Conduct occurring inside or outside the company such as a bribery and the effects of this misconduct range from financial losses for the company, damage to the company’s market reputation and criminal prosecution. In this regard, employees, customers and suppliers are a valuable source of information for detecting potential misconduct or violations (e.g. a bribery and fraudulent act) to the company’s Code of Ethics or Conduct. Therefore, it is also suggested that companies have a whistle-blower system allowing employees/customers to report any potential misconduct. In practice, the system is often proved as an effective tool for detecting and preventing corporate crime(s). A whistle-blowing system can be established in the Company Regulations, Collective Labour Agreement and/or the company’s Code of Ethics or Conduct. To be effective, the whistle-blowing system should assure reporter anonymity, emphasize good-faith reporting, and provide incentive and/or proper protection for the reporter. If the information contains an allegation of criminal conduct, it is advised that the company liaise with LPSK to maximize protection for the reporter. 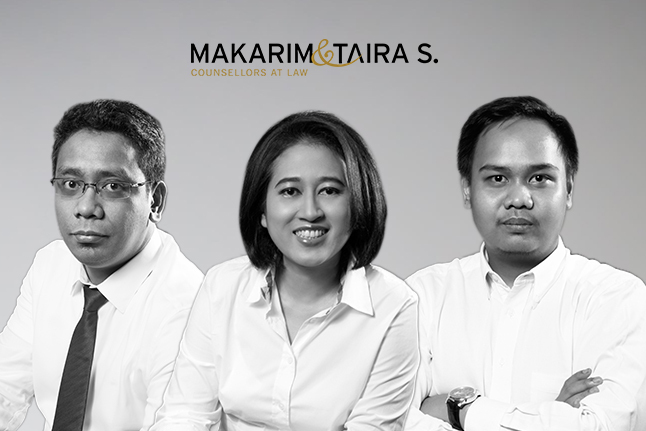 Lia Alizia is a Managing Partner at Makarim & Taira S Counsellor at Law ([email protected]). Rudy Andreas Halomoan Sitorus is a Senior Associate at Makarim & Taira S Counsellor at Law ([email protected]). Arsa Mufti Yogyandi is an Associate at Makarim & Taira S Counsellor at Law ([email protected]).